Bosnia offers historical towns and cities with an Ottoman core combined with Austro-Hungarian and contemporary architecture. After the war, segregation along ethnic lines became a sad reality in many areas. This gives each town and city a different atmosphere, depending on the majority of either Bosniak, Serb or Croat. Here are some of the top towns and cities to visit in Bosnia. Tuzla may not appear to be the prettiest destination in Bosnia due to its industrial setting and Soviet appearance. But, dig deeper, and you’ll see the beauty and a lovely old town. Salt production was always the primary economic source and was increased under the Ottomans making the town reasonably wealthy. Today, Ottoman-style buildings and the 16th-century Turalibeg’s Mosque juxtapose against Austro-Hungarian facades along city square Trg Slobode as well as medieval squares. Address: Tuzla, Bosnia and Herzegovina. Sarajevo, Bosnia’s capital, has everything. Its rich history and museums earned it the nickname ‘Jerusalem of Europe’. Bascarsija, or Old Bazaar, is Sarajevo’s Ottoman centrepiece. Mosques, Orthodox and Catholic Cathedrals and Synagogues sit side by side with modern malls and skyscrapers. Pedestrian zones and parks make the capital a pleasant place to spend a few days giving a very different experience to most people’s memories of conflict. Address: Sarajevo, Bosnia and Herzegovina. Few outside of Bosnia know about this small town to the northeast of Sarajevo. Visoko’s claim to fame is the Bosnian Pyramids, which may either be the tallest and oldest in the world — or a cruel hoax depending on who you ask. Tourists often take a day trip, but neglect everything else in the former capital of the Bosnian Kingdom. An Ottoman centre with mosques and narrow streets give the town beauty. Address: Visoko, Bosnia and Herzegovina. Brcko District is somewhat unique with the title of Europe’s only self-governing free city. Sitting on the banks of the River Sava with Croatia to the north, Brcko hasn’t become a victim of segregation. Bosniaks, Serbs and Croats live side by side in this little-explored destination. 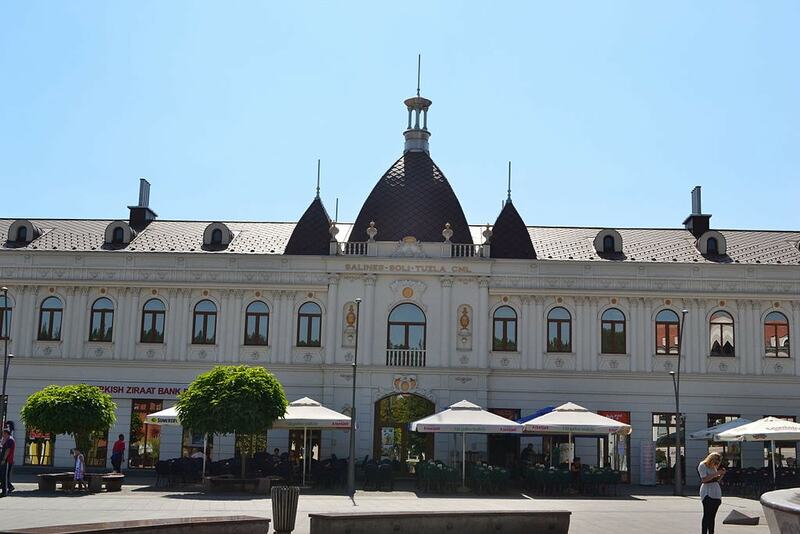 Walking along Trg Mladih, the main street is lined with colourful Hapsburg architecture and cafes; you’ll get a feeling for Brcko’s soul. Other highlights include the orange and yellow Gradska Vijecnic, which is a government building on Bulevar Mira 1. Address: Brcko, Bosnia and Herzegovina. 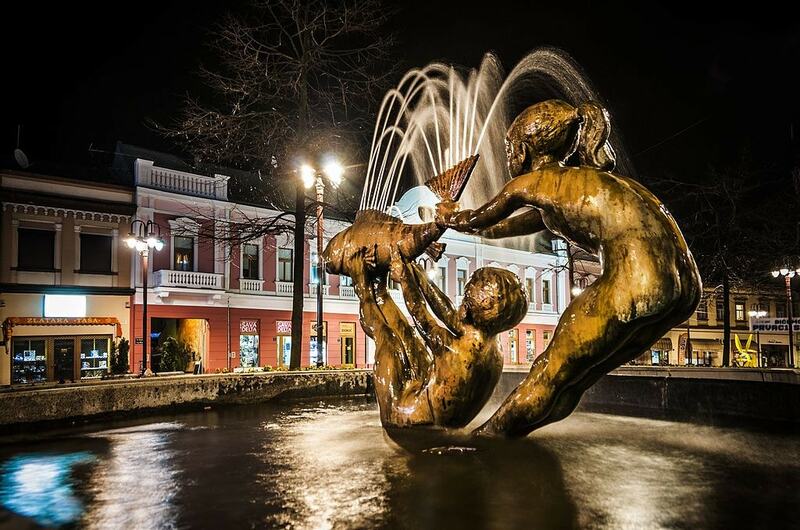 Banja Luka is the economic and cultural centre of the Republika Srpska in Northern Bosnia. Bosnian Serbs make up most of the population while the Orthodox Cathedral of Christ the Saviour dominates the centre. The Austro-Hungarians developed most the city with the recently reconstructed Ferhadija Mosque being one of the only remaining Ottoman buildings. Address: Banja Luka, Bosnia and Herzegovina. Imagine a small town along a river surrounded by canyons and mountains, and you have Konjic. Located about halfway between Sarajevo and Mostar and against the backdrop of the Prenj Mountain, this is one of Bosnia’s most beautiful towns. 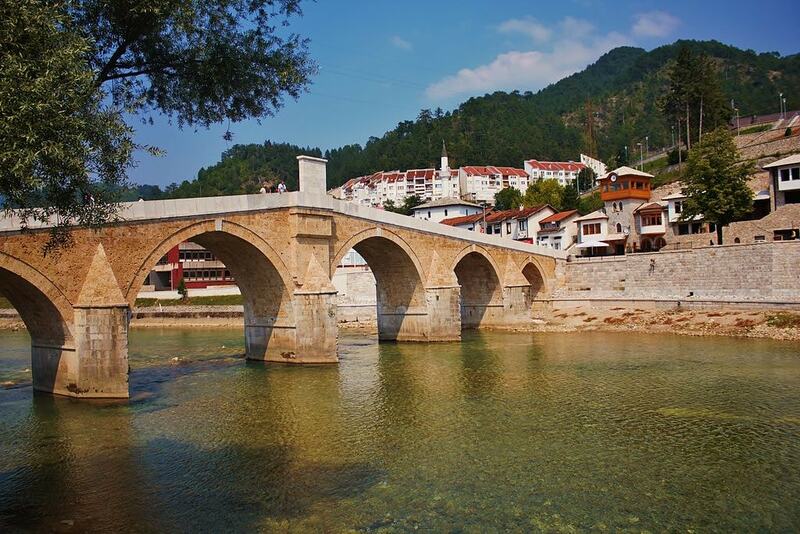 Sultan Mehmed IV’s Stara Cuprija, a six-arched stone bridge over the Neretva River, dominates the centre. 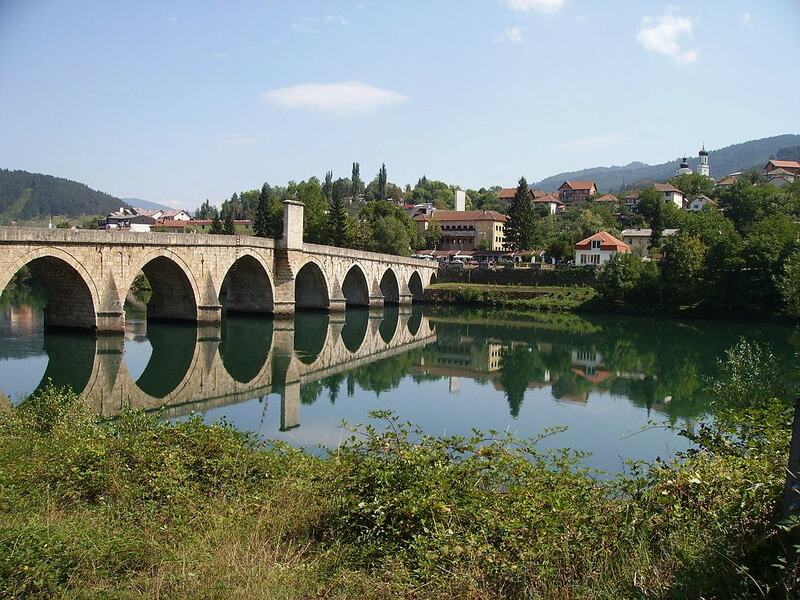 The bridge dates to 1683 and is the last grand Ottoman structure in Bosnia, which is also said to be the point where the region of Bosnia meets Herzegovina. Tito’s Nuclear Bunker is a short distance from Konjic, and the canyons attract white-water rafters. Address: Konjic, Bosnia and Herzegovina. Few visit Pocitelj, a town of less than 1,000 residents, near Mostar. The medieval town was once of strategic importance before and during the Ottoman era, which the UNESCO Fort of Pocitelj, or Kula, protected. Visitors walk along the maze of cobblestone streets through the old buildings, visit the fort and enjoy the 16th-century Hajji Alija’s Mosque. Address: Pocitelj, Bosnia and Herzegovina. Did you know Bosnia has an Adriatic coastline? Looking at the map, you would need to zoom in to see their 10 kilometres (6.2 miles) sandwiched between the border with Croatia to both the north and south. Bosnia has the second smallest coastline, second only to Monaco, and the main city is Neum. 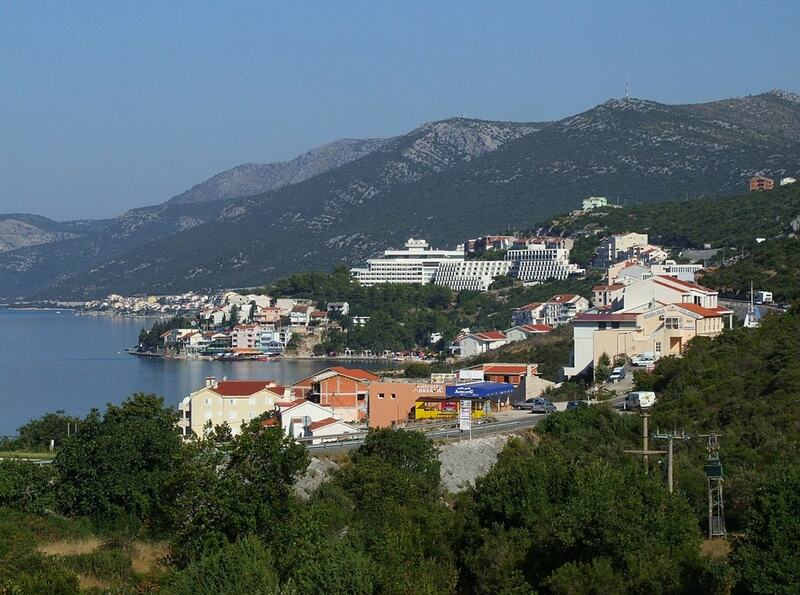 Neum is small with a beautiful stretch of the Adriatic and feels like you’ve stepped back into Yugoslavia. The town may not have architectural beauty, but it makes up for it with its coastline. Address: Neum, Bosnia and Herzegovina. 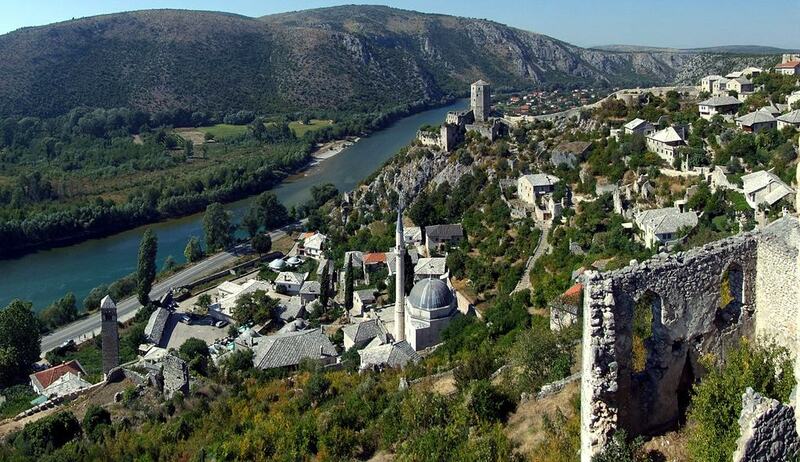 The most visited destination in Bosnia attracts tourists to Stari Most. Combine this with a special mixture of Bosniak and Croat cultures on either side of the river, and visitors get two very different experiences. Kujundziluk is Mostar’s Ottoman Bazaar, full of stalls and branching alleys. The Croat side houses Cathedral of Mary, Mother of the Church, and shaded avenues with a Croatian charm. Address: Mostar, Bosnia and Herzegovina. Visegrad, on the Drina and Rzav River’s confluence, surrounded by valleys and gorges in eastern Bosnia is approximately 10 kilometres (6.2 miles) from the Serbian border. The main highlight is the 11-arched UNESCO Mehmed Paša Sokolović Bridge, becoming popularised by Ivo Andric’s ‘The Bridge on the Drina’ novel. Since then, tourism has increased, and the City built Andric’s Town, a district in the centre to honour the writer. Address: Visegrad, Bosnia and Herzegovina. Ottoman Governors (Viziers) once used Travnik as their seat of power, giving it the nickname ‘the European Istanbul’. The small town with a population of fewer than 20,000 residents is 90 kilometres (56 miles) northwest of Sarajevo in Central Bosnian and Herzegovina. Travnik’s Old Town dates to the 15th century and boasts 28 protected historical and cultural buildings. Walking through the streets gives a sense of being in an open-air museum. One of the highlights is the two 18th-century Ottoman clock towers and Travnik Fortress. Address: Travnik, Bosnia and Herzegovina.